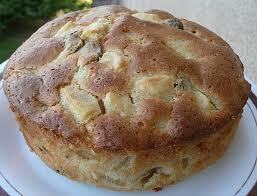 Un Beurre Normand is an apple and raisin cake. Un Bourdelot is a pastry wrapped apple dumpling. 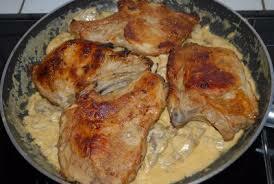 Cote de Vau Vallee de L’auge, Veal chop in mushrooms, cream and cider or Calvados. Un Gratin d’huitres. Oyesters gratineed with cider, cream and breadcrumbs. Maquereaux a la Fecampoise. Mackerel baked in cider with a mussel sauce. Marmitte Dieppoise. Assorted fish stew with cider or white wine or with white wine and cream. Moules Marinieres. Mussels in white wine and shallots. Raie au beurre. Skate fried in butter , very often with capers. Soupe a la Graisse. 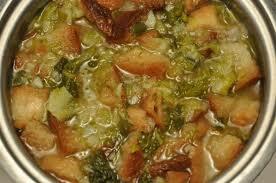 A vegetable soup with lard. 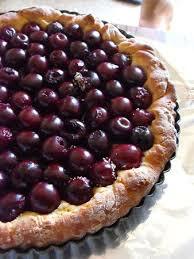 Tarte aux cerises de Duclair. A cherry tart on whipped cream and flaky pastry base. 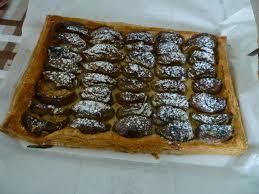 Tarte Normande. 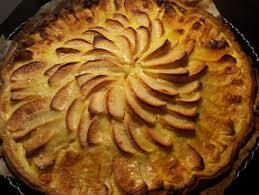 Apple pie with frangipane. 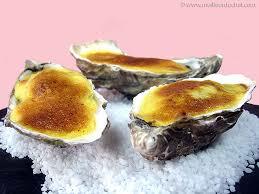 Creamy baked rice pudding with cinnamon. Soupe aux legumes with Lard. Teurgoule. 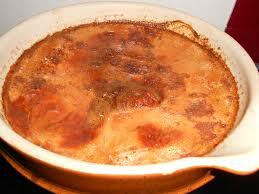 Creamy baked rice pudding with cinnamon.